This 2 x A5 page leaflet covers the role of phosphorus; symptoms of phosphorus deficiency and sources of phosphorus. IPNI approached ASHC with content which became this product. 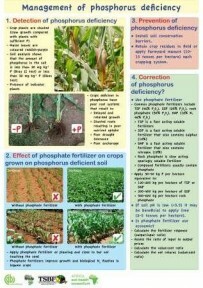 This poster covers the role of phosphorus; symptoms of phosphorus deficiency and sources of phosphorus. ASHC developed this resource based on material developed by IPNI.